My dad will probably get a phone call with an uncertain promise of “it’s in the mail” next week. But you don’t have to be that person! 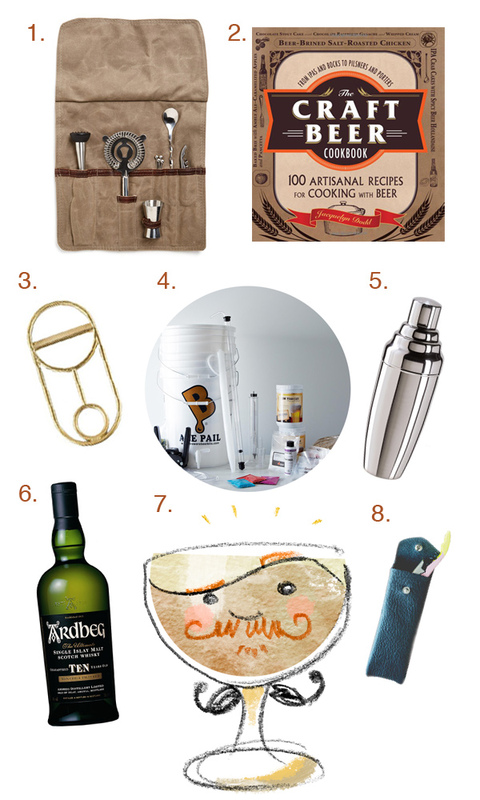 Here’s a roundup of some rugged cocktail accessories Dad might like. Dad’s can always use some updated bar tools. And if your Dad is into wine, then a leather pouch to discretely put that wine opener might be much appreciated. Let him get DIY with making his beer, and then he might even want to cook with it! And if all else fails, buy him some scotch and immortalize him as his favorite drink.